Velvety soft vocals penetrate the silence and immediately spellbind us with their modest melodicism in the opening bars of “Heroine,” one of the ten incredible tracks that comprise the new, self-titled album from Steel Blossoms. As the story in the song begins to unfold, the somber tone of the lyrics bleeds into the bittersweet serenade, and our hearts become bound to the evocative textures in the strings cascading from the stereo. In “Heroine” and every song found on Steel Blossoms, we’re invited to absorb a bevy of uncorrupted country color that is both rooted in tradition and progressively designed to appeal to a modern generation, and calling it a breakthrough moment for this band would be an understatement of epic proportions. The vocals are always the most dominant element in these tracks, but there’s plenty to be said about the string arrangements that create a foundation for songs like “Pick Me Up,” “Killed a Man,” “Innocent” and the stone cold “Revenge,” my favorite song from the album. Singers Hayley Prosser and Sara Zebley are a force to be reckoned with in the big picture, but they don’t attempt to hog all of the spotlight for themselves in this record. In every track, they’re complemented by these artfully crafted melodies and the bulging harmonies that they inspire. Steel Blossoms features a much more muscular mix than the Year Number One EP or Country Enough did, and I think that it makes it a lot easier for us to enjoy all of the understated nuances within the pair’s sound. Jerry Salley, who served as producer for these recording sessions, didn’t focus on one aspect of their music alone; from the pulsating percussive beats that push along “You Ain’t Sleeping Over” to the fiddle’s faint blue hue in “Kentucky’s Never Been This Far,” there isn’t a single sonic intricacy here that doesn’t receive VIP treatment in the grander scheme of things. This album gives us a really good mixture of ballads like “Revenge,” “Innocent,” “County Line” and “Heroine” as well as furious alt-country firebombs ala “Pick Me Up,” “You’re the Reason I Drink” and the surprisingly swift “Killed a Man.” Studio supervisor Chris Latham’s influence is felt in all of these tracks, but make no mistake about it – this is as unfiltered an offering from Steel Blossoms as we’ve ever heard. There’s no need for any big name guest appearances or technologically mind-blowing augmentations in the production; these songs, while being relatively simplistic in structure, boast a grandiose texture that makes such post-recording additions seem futile. 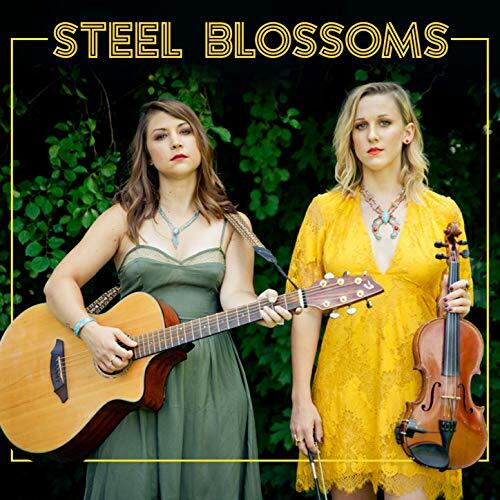 Americana-inspired alternative country juggernauts Steel Blossoms are dishing out another stunning addition to their songbook with this new record, and I for one think that it has the potential to elevate their brand significantly among music aficionados across the nation. There isn’t another band in Nashville quite like this one, and though country music has been expanding its mainstream appeal in the last few years with the advent of experimental acts who borrow heavily from the genre’s icons, I don’t know that any of them are producing in the same creative capacity that Steel Blossoms is. These singers are going places, and this album solidifies their highly regarded status within their scene.